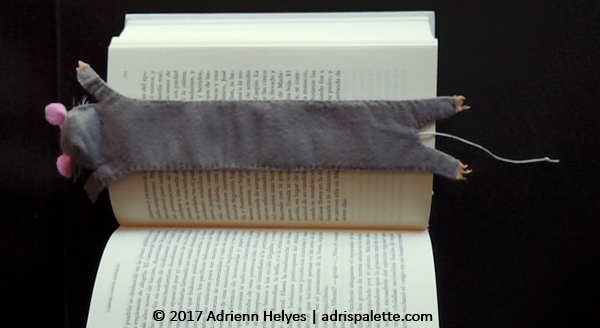 I had this weird sensation while working on this rat bookmark. I felt like I was bouncing up and down a seesaw. Sometimes I found the project exhilarating, something I did not want to put down. Other times I definitely felt like burring it in a deep drawer and throwing away the key. And there were times when I felt simply mehh. And I wonder, does your motivation necessarily need to be a constant? Is it an upward climb to the top of Mount Everest which will leave you breathless when you finish? Isn’t it OK to think about it rather like the ebbing tide that comes and goes? Sometimes you are up, sometimes you are down, but like the seesaw, it will bounce back. 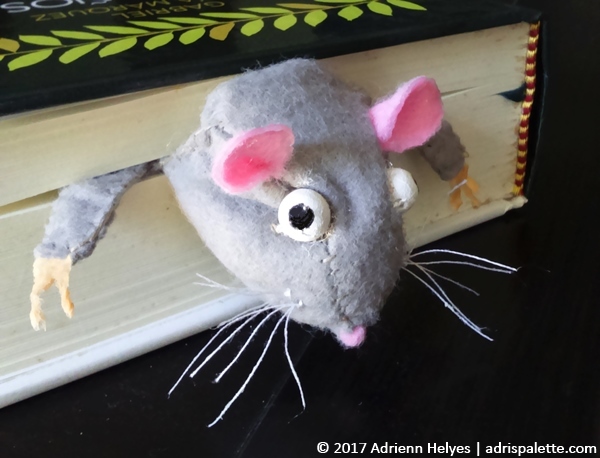 Something that did help me while working on the rat bookmark was distraction. A simple thing like putting the half finished creature in a book. For one, because it helped me picture it better as a finished product. Also, because it suddenly became alive. Stories involving it started to form themselves. Putting it between the pages of The Tail of Two Cities (sorry about that!) definitely helped. Also, what helped was the scream that did leave my Mom’s lips when she spotted the little thing. 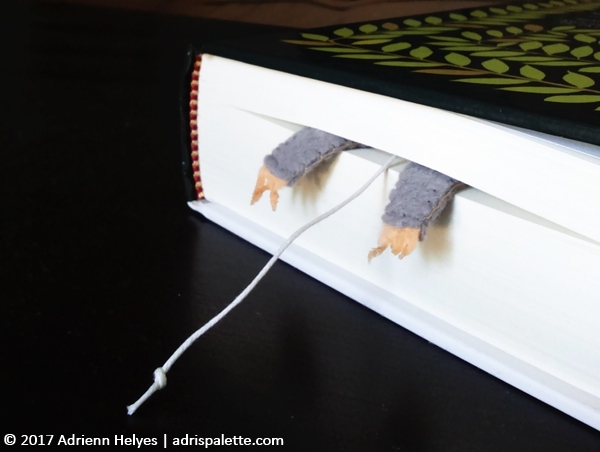 The head is flattened at the back to make sure there will be a snug fit with the pages of the book. I soaked the thread that the whiskers are made of in hobby glue to make them stiffer and thus more spiky. The hind paws and the little tail stick out on the bottom. 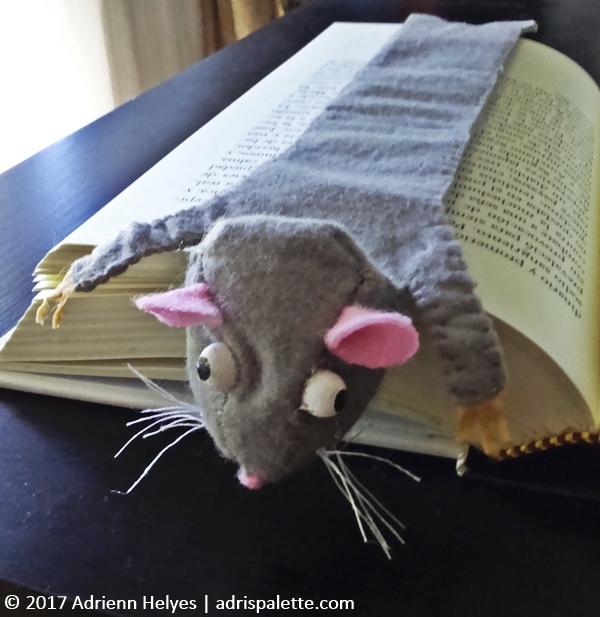 Even if the rat ends up being a bit shorter than the book, the tail will still sick out. It became increasingly hard to close the pages of the book as the affection for this creature grew. It was no longer a soul-less thing, but someone I was imprisoning in a cellulose jail. I feel there is a need to clear something up. Yes, I played with it. Yes, I have closed a drawer on the little thing as if it were trapped in that little sliver of space. And yes, I cringe every time I do something like this. But when I look at its little face when it is lying inside a book, everything falls back into place. 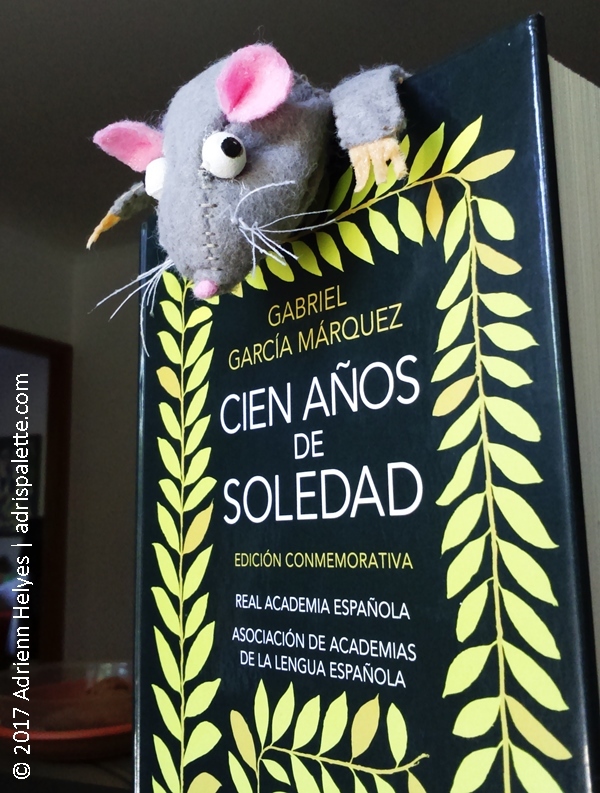 That little smile of satisfaction when Hundred Years of Solitude press down on its back signal to me that it has finally arrived home. And I would not want to take that away from it! This is absolutely adorable. Great idea!